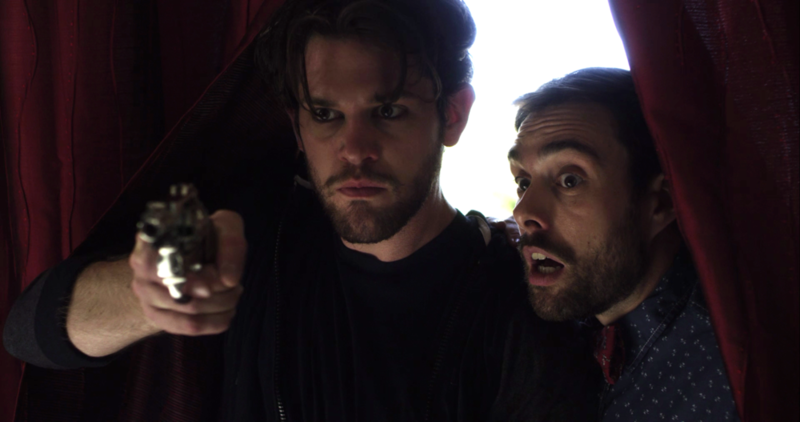 is a web series about two private eyes – and best friends – who investigate crimes inspired by Shakespeare's plays. Each season we dive deep into a different Shakespearean play, and discover insights, surprises and unexpected hilarity as we lovingly dismember some of the Bard's most famous works. We are inspired by the crime noir Los Angeles of Raymond Chandler, and the coconut-clapping silliness of Monty Python, not to mention the larger-than-life ambition of Shakespeare himself. In Season One: Hamlet, Titus and Dronicus are hired by a mysterious dame called Ophelia, who wants them to investigate her weird, melancholic boyfriend obsessed with his father’s death. Season One comprises 3 episodes with some additional Vlog content from our intrepid detectives! Titus and Dronicus was written and produced by Megan Kelly, Madhuri Shekar and Seamus Sullivan as part of Better Than Shakespeare, an L.A.-based theatre and production company. Co-founded by Megan Kelly and Kate Williams Grabau, BTS debuted their first production at the 2014 Hollywood Fringe Festival – Much Ado About Something. Since their first attempt at improving Shakespeare was a resounding success, they decided to take on another medium. Hence, the web series, directed by Liz Rizzo. Follow them on Facebook for updates on upcoming projects. Writers of TITUS AND DRONICUS: Megan Kelly, Madhuri Shekar & Seamus Sullivan. The cast of MUCH ADO ABOUT SOMETHING at the 2014 Hollywood Fringe Festival. Liz Rizzo directing TITUS AND DRONICUS on set.